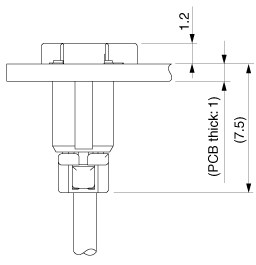 Considering about luminescence property of LED package, this LEX connector is designed as low profile bottom type connector for LED lighting equipment, and achieves the space saving at the connector mounting side. In consideration of connector mating operation, secure lock and mechanism for preventing wrong insertion are provided. 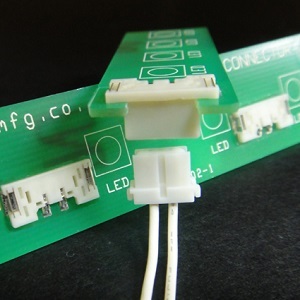 With the assumption that the load may be applied to the soldering part when mating the connector, the strength of soldering part after mounting the connector on PCB has been largely improved.